If you are looking for tennis racquet for your young one you are in the right place. The summer holidays are just around the corner and we all know what that means. Since we don’t get summer breaks we have to get the kids in a variety of activities and outdoor activities are some of the best. You want to purchase a racquet from a top quality company and you want it to be an affordable one when you are choosing for a five year old whose preferences change every two weeks. With a great little racquet like this one from Wilson you can spark an interest in even the youngest that is not interested in tennis. Wilson is known for making top of the line tennis equipment and their balls are the official balls of the US Open. So you can be certain that you can confidently purchase one of their racquets for your little ray of sunshine. The racquet is great for younger hands because it is made from aluminum so it is strong yet lightweight so even a three year old could have good fun with it without getting fatigued. This 19 inch racquet from Wilson is the ideal junior racquet for your young one. Made from durable yet lightweight aluminum your little one can play and have fun without getting fatigued. Made from Wilson you know it is a high quality item and it is designed specifically for those ages under 10 years old. It is lightweight, durable and strong. The racquet comes strung so that it is ready to use right out of the box but it doesn’t come with a cover so you will need to get that at an additional cost if that is something you will need. 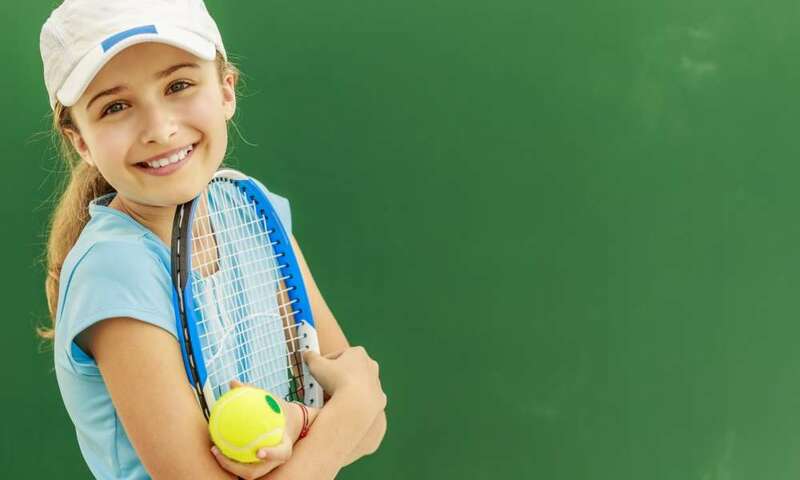 You will love that this racquet is very affordable, another reason it is a great starter racquet for your child to use to feel out the game of tennis. It is available in nice and bright colors that your kids will enjoy. 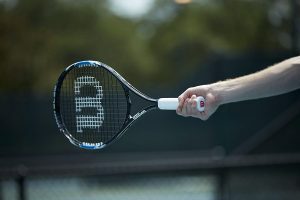 With a grip size of three and a half inches your youngest player will be able to use the racquet comfortably, having an easy swing while enjoying their gameplay. The best types of balls to use with this racquet from Wilson are felt balls or soft foam balls. If you only have standard tennis balls you will want to be careful. This is one of the top rated racquets in the category for under-19 tennis. With Wilson being a partner of the USTA and making the official ball for the US Open you know you are investing in a top quality item. The Wilson US Open 19 inch Junior Tennis racquet is an ideal choice for your small child. The guide from Wilson does indicate that this is for five year olds but the design of the racquet ensures that it is comfortable enough to use even for smaller kids down to three years old. It is lightweight, durable and easy to use while coming in at a really affordable price. At a young age, purchasing items that are affordable is very important to parents because kids can change their minds so often. With this you are certain that you are making a good decision, it is a high quality item but the price cannot be beaten so even if your child changes their mind about tennis in short order you wouldn’t have lost too much money if you invest in this tennis racquet. This racquet is made by Wilson so you know this is one of the highest quality child sized racquets you can find on the market. It is made with lightweight yet durable aluminum and s sized just for your little one’s small hands. It is one of the most affordable 19 inch racquets you will find on the market and that is where it sweeps the competition off its feet. The 19 inch kid’s racquet from Wilson is an affordable yet highly durable model. It is designed for five year olds but it is great for even those younger than that. Being so affordable it is a great purchase so even if two weeks down the line your three year old changes their mind and would prefer do something else you will not have to worry about the fact that you spent a fortune. We highly recommend this racquet from Wilson as a great option for kids 5 years and younger who would love to try their hands at tennis. This could be the beginning of a great thing – a tennis pro in the making. I’m so happy to read this.